A came across the blog Not Derby Pie a few weeks ago, and this Maple Yogurt Pound Cake caught my eye immediately. It sounded yummy, plus the pictures made the cake look so delicious, and upon further investigation I found that the cake didn’t actually have any butter in it like a traditional pound cake. With the addition of oil it seemed (perhaps foolishly) lighter to me, and I was set on trying it. Since I didn’t have maple syrup suitable for baking just hanging around the kitchen, I had to wait until I could make a run to the supermarket for it. Last night was the night for the cake, and it seemed very promising. 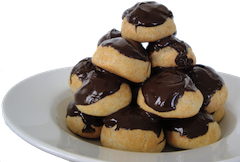 The batter looked luscious, all smooth and creamy and yummy looking. But when I licked the spatula, it tasted overwhelmingly like flour! So I threw it in the oven with hopes of a magical transformation. I came out looking beautiful, just like the pictures that appealed to me in the first place. It’s texture looked nearly perfect, and I was excited to try it! Only when I took my first bite, nothing happened in my mouth. It was just kind of blah. What a disappointment! But not being one to ever turn away from something home-baked (especially by myself, because then what kind of baker would I be?! ), I finished the entire slice, and it wasn’t bad. 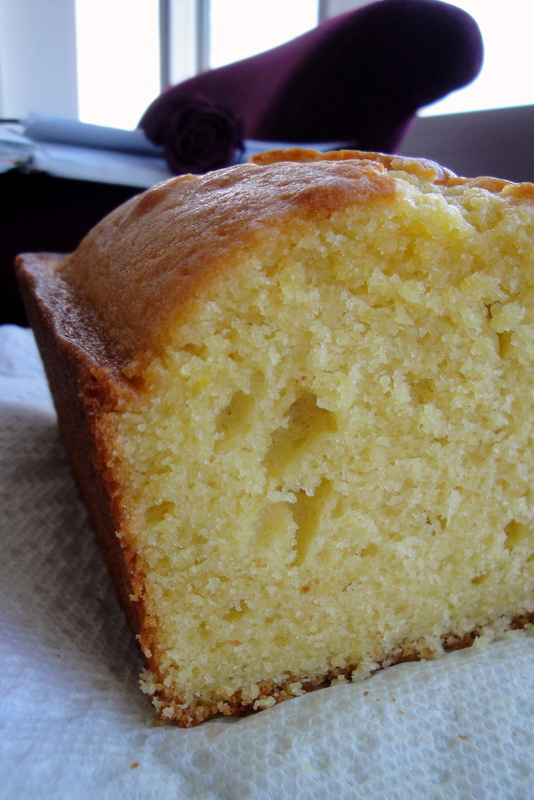 The more prominent flavor though was of lemon, as I added a bit of extra zest, but it’s not lemony enough to be qualified as lemon yogurt pound cake. But the maple syrup? I’m not sure where it went, but I’m pretty sure it didn’t end up in this cake. I swear I remember pouring it in, but the flavor isn’t there! I think the fault may be mine, as I used Grade A syrup when it recommended B, but I have a hard time believing that the maple flavor would just explode from such a minor adjustment. So I guess the moral of this story is, if you’re looking for a light and refreshing pound cake, this is the one, but don’t believe it’s claims! It’s not particularly maple-y. 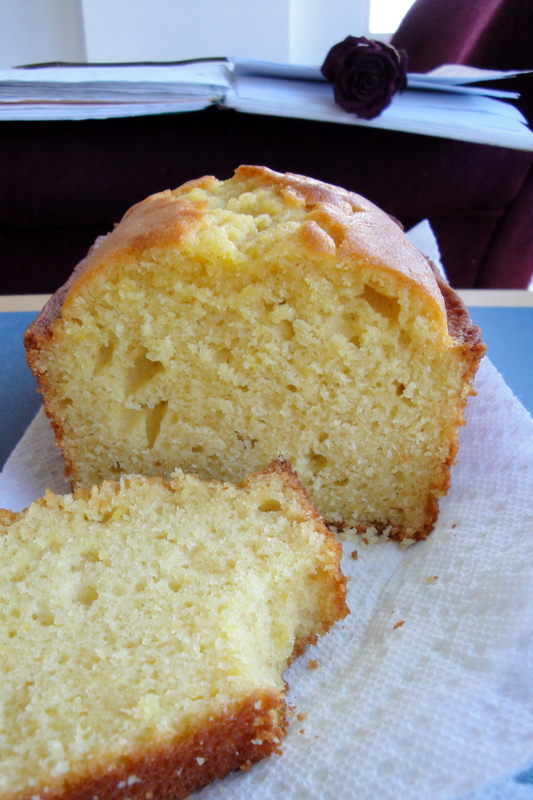 However, one great benefit of this cake is that it really is lighter than a traditional pound cake — the addition of yogurt and substitution of oil for butter makes it airy with a wonderful texture, so it’s be the perfect base for many desserts. You could use it in a parfait, or grill it and serve it with some grilled stone-fruits (peaches, perhaps?) and some fresh chantilly cream (I love the word chantilly). It would prove to be very versatile, I think. Maybe I’ll try something. I rarely come across recipes that don’t measure up to my expectations, and this one really isn’t bad (in fact my roommates have even said it’s “really good”), it’s just not as spectacular as I was hoping it would be. But I’m going to play around with it and see what I come up with, and in the mean time find something else to redeem my baking karma this weekend! 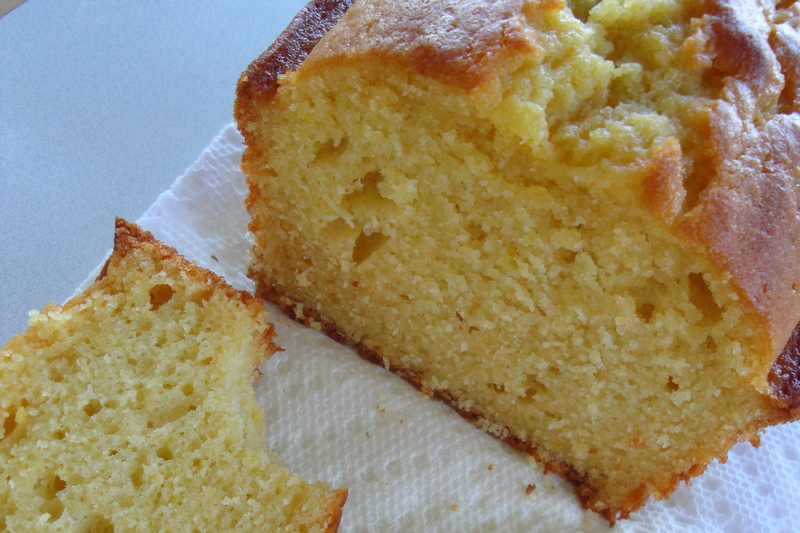 In case you’d like to try this cake, you can find the recipe here. I didn’t make any alterations at all this time! With love, and lemony sugar! Enjoy.